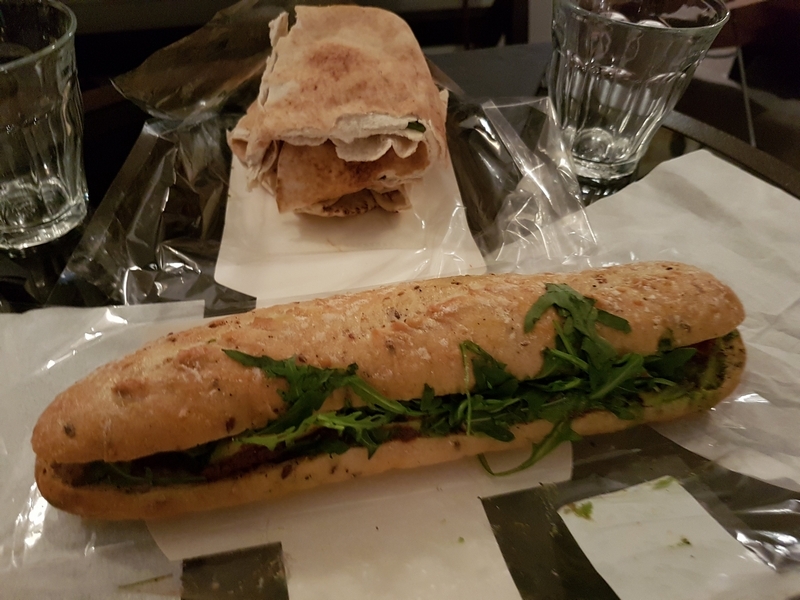 restaurant review #174 – Pret a Manger is a ‘healthy’ fastfood chain with several restos around the world (UK, US, France, and now also one in the Netherlands in Utrecht). One can easily recognise the restaurants with the distinguishable red logo. 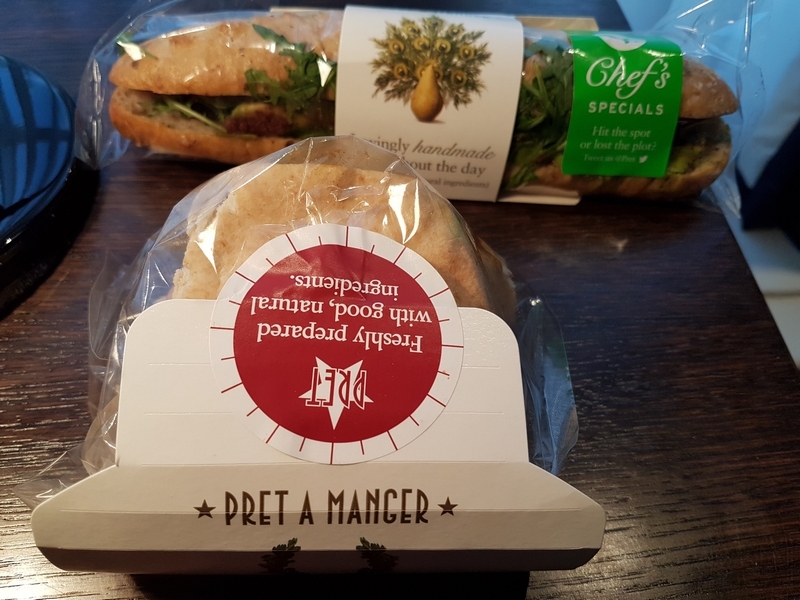 Pret A Manger offers light breakfast and lunch options, like soup, salads, baguettes and wraps, and has several items suitable for vegans. 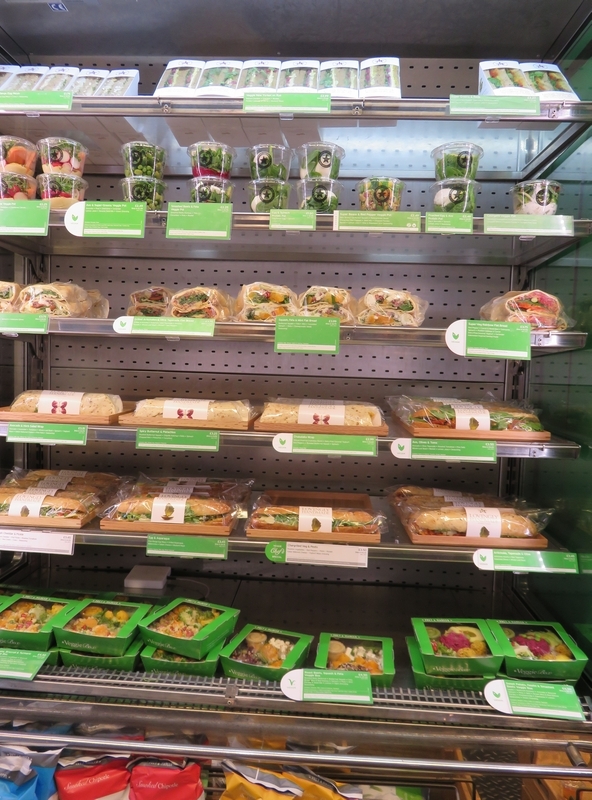 Some of their locations are also vegetarian (veggie prets, with vegan options) and have a characteristic green design. 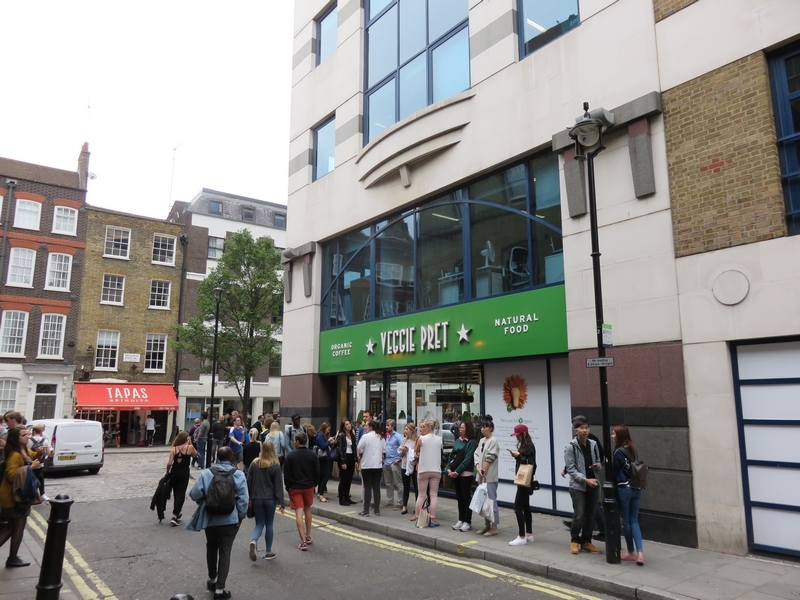 We have visited several Pret a Manger in London. Technically, this is not really a restaurant review, as we did not have our meals on site, but simply bought take away. 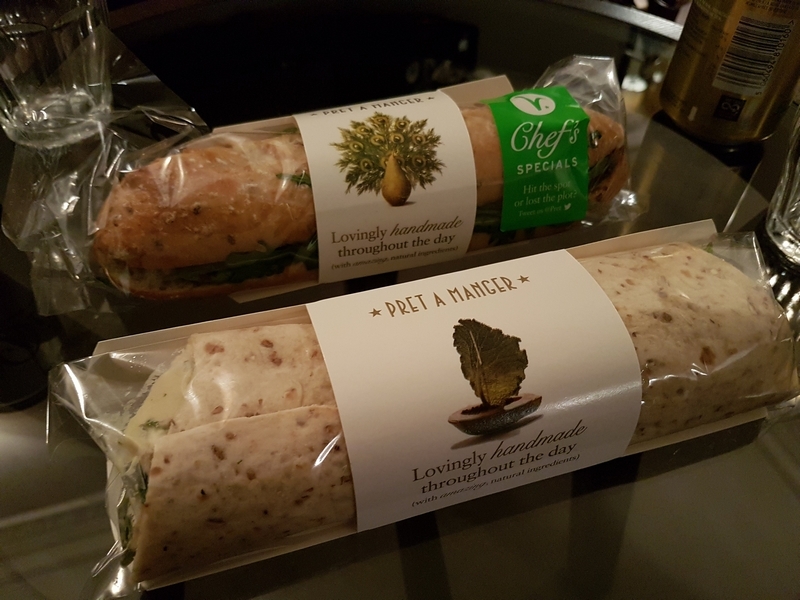 But I wanted to post some photos of the food we bought at Pret a Manger during our last trip to London. All in all: good value for money, a good and freshly prepared snack. The amount of plastic packaging is a real pity though. 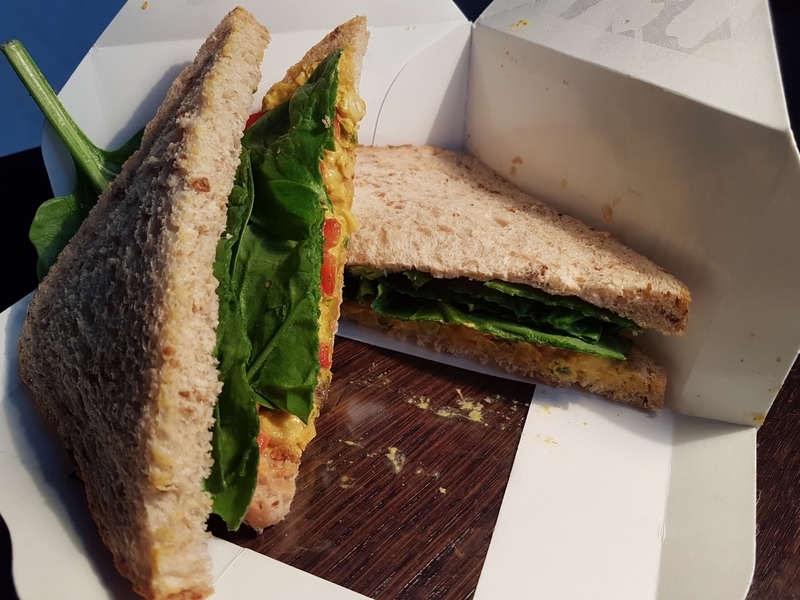 The website mentions that Pret a Manger wants to have 100% recycable, reusable or compostable plastic, and eliminate all unnecessary single use plastic by 2025. I love their food. 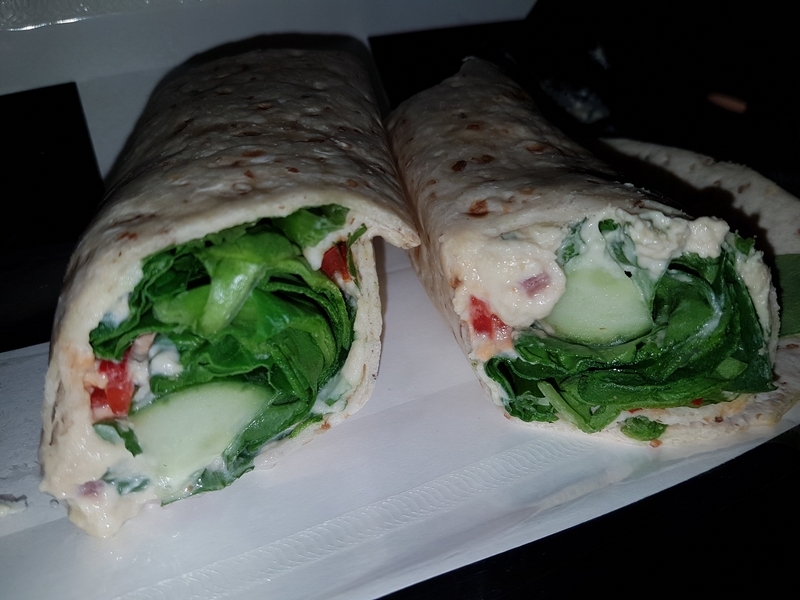 Just had a veggie wrap in HK there two weeks ago. Never been there (I’m in the United States), but these photos remind me of lovely noshes from some of the better cafes and convenience shops in New York City near Central Park. 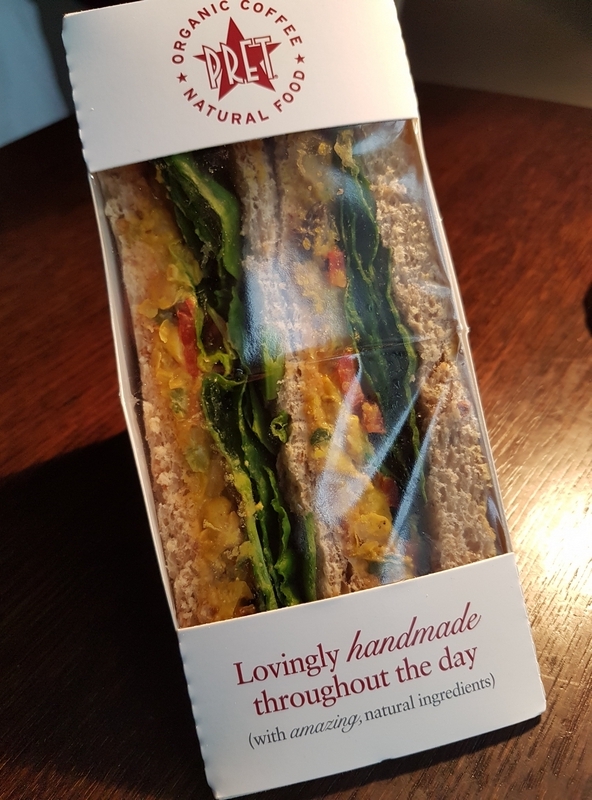 As a vegan in the UK, I can say that Pret has saved me a few times. 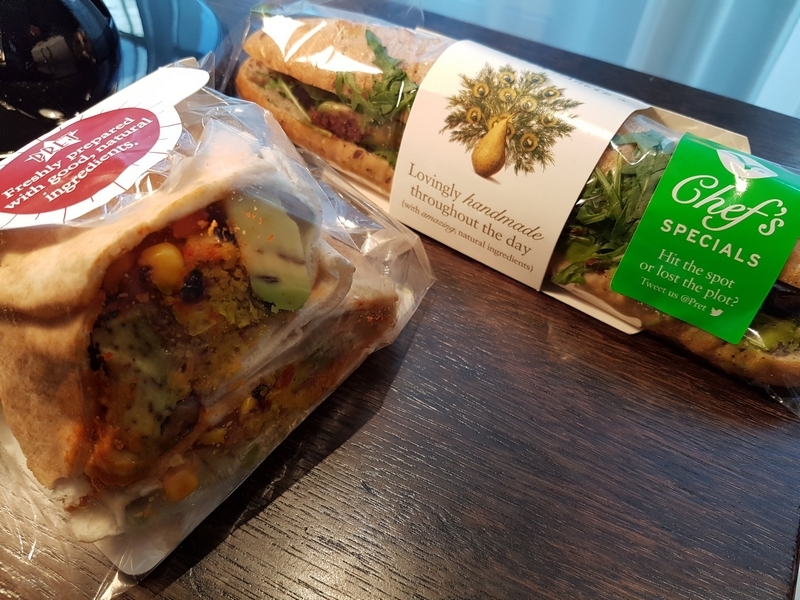 Their vegan range is improving and widening all the time, and I’d recommend it to anyone who wants a quick bite while they’re out and about. from a food review this is really helpful, especially with the photos provided.